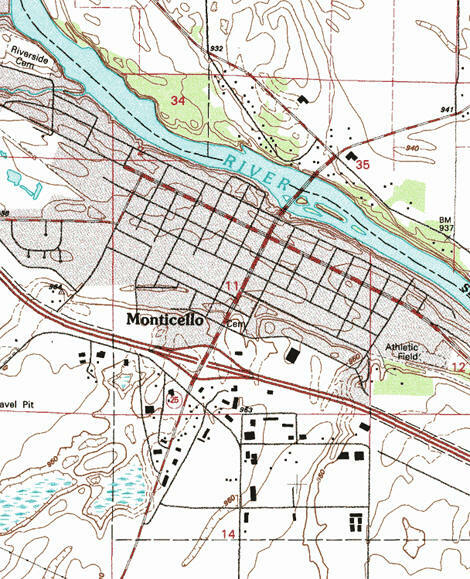 Do you have photos, historical accounts or other items pertaining to the Monticello area? Would you like to share this historical information with the world? LakesnWoods.com would like to publish your Monticello photos (current or historical) or historical accounts on this website. Original materials can be returned and your privacy will be respected. Monticello (pronounced is a city in Wright County, Minnesota. Interstate 94 and State Highway 25 serve as major arterials in the area. According to the United States Census Bureau, the city has a total area of 6.2 square miles (16.1 km²), all of it land. The elevation is 925 ft (282 m) above sea level. As of the 2006 U.S. census estimates, there were 11,414 people, 2,944 households, and 2,066 families residing in the city. The population density was 1,264.6 people per square mile (488.4/km²). There were 3,030 housing units at an average density of 487.0/sq mi (188.1/km²). The racial makeup of the city was 96.96% Caucasian, 0.33% African American, 0.20% Native American, 0.55% Asian, 0.01% Pacific Islander, 0.64% from other races, and 1.31% from two or more races. Hispanic or Latino of any race were 2.03% of the population. There were 2,944 households out of which 43.6% had children under the age of 18 living with them, 52.6% were married couples living together, 12.9% had a female householder with no husband present, and 29.8% were non-families. 23.7% of all households were made up of individuals and 7.9% had someone living alone who was 65 years of age or older. The average household size was 2.64 and the average family size was 3.13. In the city the population was spread out with 31.4% under the age of 18, 9.1% from 18 to 24, 35.4% from 25 to 44, 15.1% from 45 to 64, and 8.9% who were 65 years of age or older. The median age was 30 years. For every 100 females there were 93.1 males. For every 100 females age 18 and over, there were 90.1 males. The median income for a household in the city was $45,384, and the median income for a family was $53,566. Males had a median income of $41,057 versus $25,854 for females. The per capita income for the city was $19,229. About 4.2% of families and 4.6% of the population were below the poverty line, including 4.8% of those under age 18 and 7.4% of those age 65 or over. 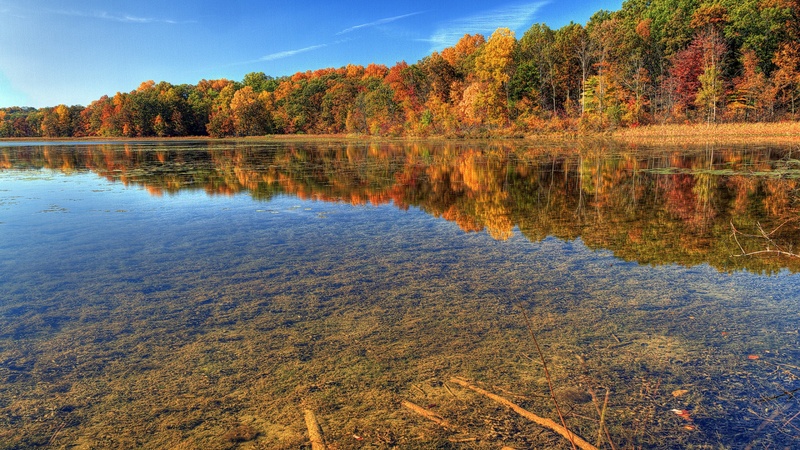 MONTICELLO Township, settled in 1852, organized May 11, 1858, and its city in sections 2, 11, and 12, platted in the autumn of 1854 and incorporated as a village on March 9, 1875, and reincorporated on April 30, 1906, when it separated from the township, were named by Thomas Creighton, one of the townsite proprietors, "from the 'Little Mountain,' a hill of modest proportions, about two miles from the village to the southeast. Previous to this in September  Ashley C. Riggs and Moritzious Weissberger laid out the town of Moritzious." These were respectively the upper and lower parts of the present village of Monticello, being rivals during many years. "Monticello was first incorporated by an act of the Territorial Legislature approved March 1st, 1856. . . . Moritzious was also incorporated by an act of the State Legislature approved August 13th, 1858. . . . In after years, difficulties relating to titles led to some change in the corporation of Monticello, and on the 27th of April, 1861, the present organization was consummated" (History of the Upper Mississippi Valley, pp. 537-39). The post office was established in 1855, with D. B. Sutton as postmaster; it had a station of the Great Northern Railway. The home of Thomas Jefferson, in Virginia, three miles southeast of Charlottesville, bore this name, which thence has been given to townships, villages, and cities in 22 other states of the Union.